You are here: Home / Crafts and Charity / Nine! It’s been slow going lately…many unsuccessful projects! But, here are nine items for our count. 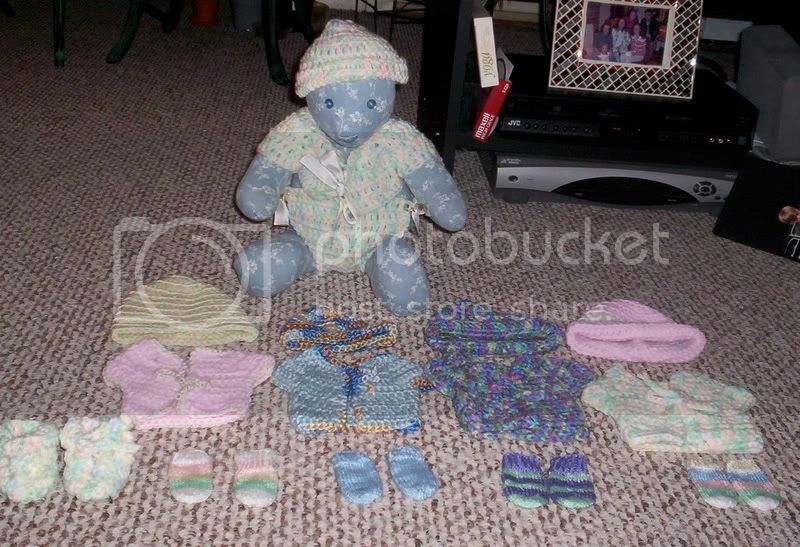 And I’d like to please introduce Paisley Bear, made by my mom, who is modeling my first onesie. I didn’t really think I had made it right till he tried it on for me.